NOVOTEL LYON BRON Bron, Hotel France. Limited Time Offer! Novotel Lyon Bron. 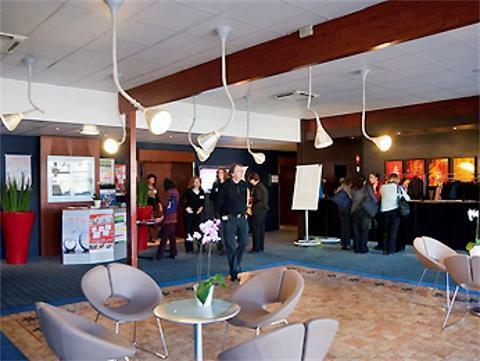 4-star hotel "Novotel Lyon Bron" is especially popular among families. 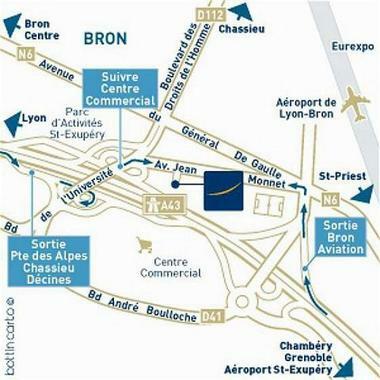 It is an ideal base from which visitors can discover Bron. The residence has a total capacity of 190 air-conditioned, contemporary and modern bedrooms. Each bedroom in the accommodation has been described as being spacious and modern. Thanks to the relieving air conditioning, the temperature is never too high. You can take a swim since this hotel features an outdoor swimming pool. There is a gym where you have the opportunity to work out by yourself. This hotel has an onsite spa, ideal for relaxing. The onsite restaurant is contemporary and serves its French specialty. For a drink after dinner, you will find the lounge bar most welcoming. In the morning, visitors have the opportunity to enjoy the hotel's breakfast. Internet access is offered at no extra charge. The Dau Ly Hotel is located in Bron making it one of the best hotels to stay at while in town.The Dau Ly Hotel boasts a convenient location with modern amenities in every guestroom and superb service.